. : Wario Ware: Smooth Moves :. Home / Nintendo Wii game manuals / Wario Ware: Smooth Moves :. Wario Ware: Smooth Moves manual Just click to open it in a new window then print the manual. This entry in the Wario Ware series is so wacky, it could only be made with the latest technology -- the Wii Remote controller! When Wario stumbles upon a strange device called a Form Baton, he and his friends use it to learn new moves that are as fun as they are wacky. 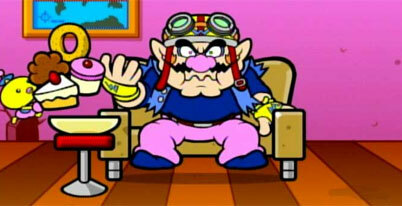 Under Wario�s tutelage, and with the help of the Wii Remote, players will swing, spin and squat their way to victory. With more than 200 lightning-quick microgames and controls that range from scribbling to flailing, WarioWare: Smooth Moves takes interactive gaming to a whole new level.